Branch office networks and the enterprise WAN are in a state of dramatic transformation. 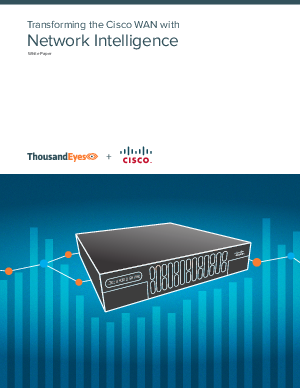 The joint solution between ThousandEyes and Cisco integrates Network Intelligence with Cisco ISR 4000 and ASR 1000 routers. Learn how the integrated solution lets you repurpose existing infrastructure to build an intelligent and cloud-aware WAN.